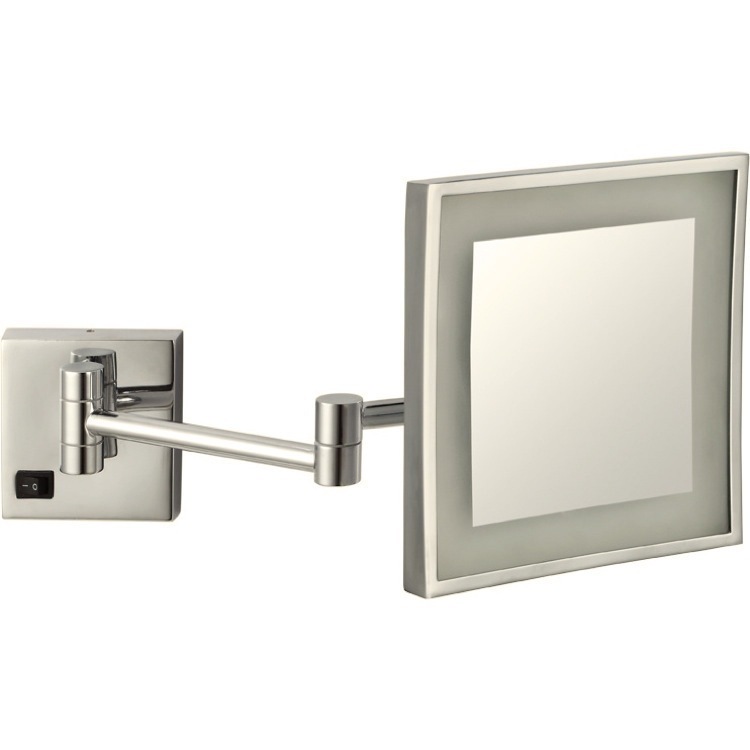 With a satin nickel finish, this stylish square shaped single faced mirror features an incredibly useful built in LED light. Made of high-quality brass, it comes with 3x magnification and an extendable double arm. 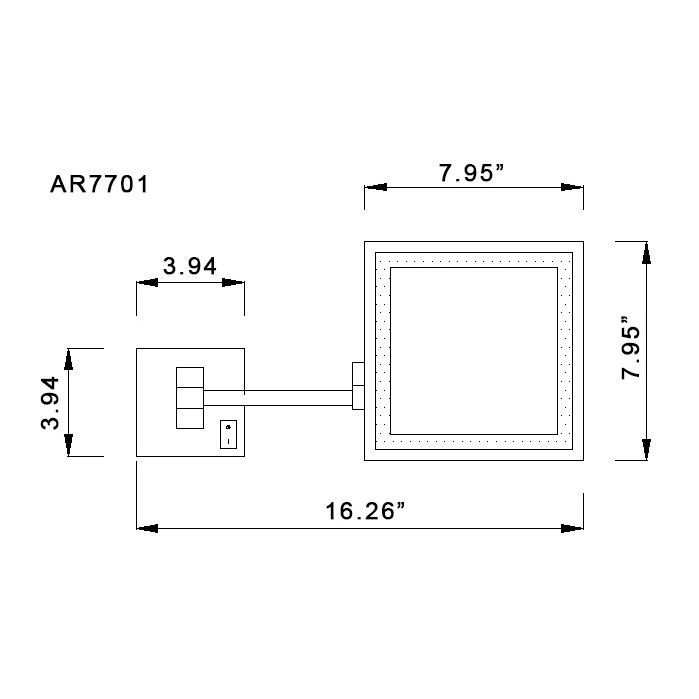 Hardwire installation and a base made of stainless steel with included on/off switch, this makeup mirror is suitable for your contemporary bathroom.